Where are the women of the revolution? I have seen many people commenting on the lack of women seen in this revolution. The women of Egypt are a force to be reckoned with. You do not want to get in the way of angry Egyptian women. They are there!! The reason that you don’t see them is because the major media outlets are not showing them! Look at blogs, watch twitter, read citizen journalism. The women of Egypt are loud & clear in their messages & their actions, what a shame they do not get the credit and coverage that they deserve. ‘President’ Mubarak is still clinging on for dear life to his precious presidency. He is as stubborn as a poo that has emerged from a very constipated person that just won’t go away, no matter how many times the toilet is flushed. He must realise by now that he cannot win in a fight with 80million people? We Egyptians are a stubborn lot, something I was reminded of at today’s solidarity protest at the Egyptian embassy in London. He can’t kill 80 million people, he can’t possibly cling on until November, when the next presidential election is due. Go Mubarak! Go! Enough people have died already because of your stubborness. He is determined to buy time and exhausts the minds and bodies of the protesters and observers. All the tactics are either procrastinatory or divide-and-conquer. Just like he underestimated us, we underestimated him. He thinks he can, but he can’t win, too much is at stake. Today was a beautiful day & one felt privileged to be a part of. It’s difficult being an Egyptian abroad at the moment. Watching Cairo go up in flames and your sisters and brothers on the streets fighting for emancipation from our pharaoh tyrant, Mubarak and being so far away. With the internet and no fear we are not so helpless though. Seeing so many passionate people chanting in solidarity and sending messages to the world and back to Egypt was so moving. After hearing Mubarak’s desperate attempts to pretend he has any kind of control and Obama’s mild rapprochement, I think there will be even more people out tomorrow globally, and in Egypt, especially. We don’t buy any of the empty rhetoric, we don’t care what they have to say. 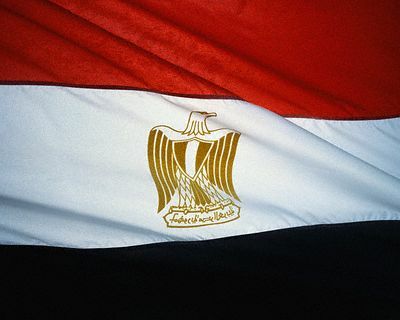 The Egyptians are taking back their country and their rights, whatever Mubarak & other nation states might say, wish or think. I’m very scared for the immediate future of the citizens of Egypt, Mubarak is desperate, the people more so, only the people can win, but what will the costs be for those freedom fighters braving Mubarak? Usually, the start of a year always feels a little anti-climatic and slow. It’s only the 26th January, and worldwide, there has been a new and exciting resurgence of protest, and calls for emancipation of oppressed nations the world over, but especially in the Middle East. I could barely believe what I was seeing in the news when the Tunisian people united in their despair and anger and exposed the illegitimacy of their leader and government. The shock of seeing this quick and unexpected successful revolution reignited my hope of change in Egypt. Egypt has been under ’emergency’ laws preventing the right to protest, giving the state powers to detain citizens, preventing the right of assembly and any meaningful opposition for the last THIRTY YEARS. That is nearly my entire lifetime. I spent much of my childhood in Egypt and it has broken my heart to see the rapid deterioration of society every time I go back. There have been protests and opposition many times before, but each time there is any credible political opposition, they are systematically destroyed and persecuted (such as here http://english.aljazeera.net/news/middleeast/2007/03/200852513218704328.html), with corruption, torture, murder the norm in police stations all over the country, which is well documented. A good example is the recent murder of Khalid Said (http://www.arabist.net/blog/2010/6/14/the-murder-of-khaled-said.html) a blogger in Alexandria who was exposing local police corruption, he was dragged out onto the street and murdered in broad daylight, causing widespread outrage and protest, which of course, was met with a violent police response. The fear created by state agencies and the emergency laws has been the biggest weapon of all against the people of Egypt. With desperation and corruption at an all time high, in a country where people kill each other out of desperation in bread queues (http://news.bbc.co.uk/1/hi/world/middle_east/7267488.stm) and much of the population is living literally below the breadline, is it any surprise that the Egyptians paid close attention to Tunisia’s revolution. The West’s explicit support for Mubarak and his tyrannical regime cannot be underestimated as a further source of anger for Egyptians. Whilst the state so casually disregarded and abused it’s citizens dignity and human rights, Mubarak has continued to enjoy the patronage and financial support of the West, especially the US. Egypt, after Israel is the SECOND HIGHEST recipient of US military and developmental aid – over £28bn pounds worth since 1975 (http://www.state.gov/r/pa/ei/bgn/5309.htm). Seeing as the infrastructure in Egypt is in dire straits, where has all of that money gone? Why has the US never been outraged at the reports of human rights abuses and done anything about it instead of funding Mubarak’s assault on the Egyptian people? Egypt has been complicit in the imprisonments of Gaza (anything to do with the US funding, perhaps? ), another source of anger for the people. Tunisia has been a wonderful source of inspiration for Egypt, and I hope that all the anger and frustrations in Egypt can be used to free the country and its resources for the people. I am daring to hope, and I am scared. Thank you brave people, be strong and don’t give up.